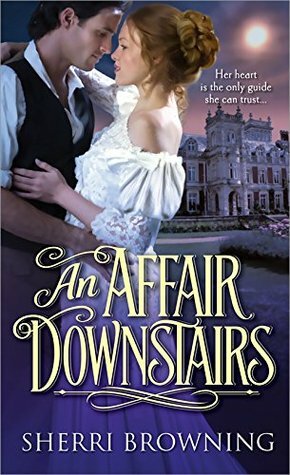 Fans of Downton Abbey will adore this brand-new Edwardian-period romance series set at the grand estate of Thornbrook Park, seat of the Earl of Averford. Disowned for marrying beneath her, Eve Kendal has returned to England destitute after her husband's death and the mysterious disappearance of their savings. She's looking for survival, not romance. But from London to the Yorkshire countryside to the elegant estate of Thornbrook Park, Eve's path seems destined to cross that of the dashing but violent Captain Marcus Thorne. For Marcus, a return home means facing the demons that drove him to war in the first place. As he and Eve begin a steamy affair, tensions that had been simmering just beneath the surface threaten to explode and shake the very foundations of Thornbrook Park. 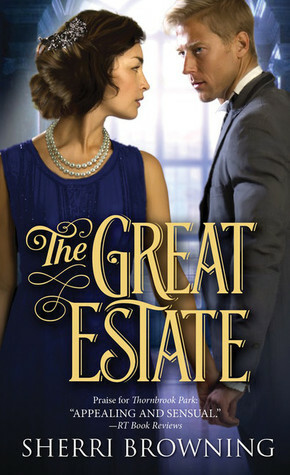 Eve Kendal, is a recent widow and she has returned England so that she can reconnect with her best friend and find out where her late husbands investments are and how to gain access to their funds. Eve is still heartbrooken over her husbands loss, but she was loved and she plans on making a solid life for herself. Her plans bring her to the Countess of Averford and her beautiful Yorkshire estate. Eve then meets Captain Marcus Thorne, a veteran and war hero. Marcus still suffers from a darkness clouding his mind and focuses his attention on prizefighting which he is quite good at. Marcus is determined to make his own life especially when his brother tries to interfere. His brother and his wife desire Marcus to marry Alice, but Marcus feels a connection to Eve. They begin a passionate affair that turns into something more, but have to keep it a secret and they know its only for a short time. Because of the promises they made to Gabriel and Sophia. But Eve’s life is in danger, and Eve and Marcus come together in finding the answers and finding the real culprit of a murder. Marcus Thorne, wanted to make something for himself, so he got himself a commission in the military and served his country side by side with his best friend Connor. But then Connor was killed in a bomb explosion, who had a wife and three children. Marcus put it upon himself to see after them and take care of their needs. Marcus is determined to give them the life they deserve. When he is compelled to return home, at a glimpse of having the Connors run a local farm, he returns back to his childhood home and his overbearing and controlling brother. Marcus has come for one thing, but when his brother puts his inheritence (not sure he could actually touch it) in exchange for his marriage to Alice. Marcus is furious but willing to go along with it for now. Marcus is a very unpredictable character, I never really knew what he would do next. I liked that quite a bit, not being able to have much preditable about his character and it really kept me interested. Eve Kendal fell in love with her late husband and eloped, because her family was against the match. They wanted her to marry a lord but she wanted to marry for love. Her family disowned her and she has never heard anything from them since. She lived in India with her husband and had a good life with him. Until he dies in a earthquake, and she has to pick up the pieces and try to move on. She heads back to England, hoping to find the funds she needs to live out the rest of her life in peace and to see her best friend. But Even unexpectedly falls for a handsome war hero even though its forbidden. Eve was a charming heroine, and what I enjoyed about her was her openness and honesty, especially when she connects with Marcus. She had a sense of learning the truth. I liked her drive and her warm nature. 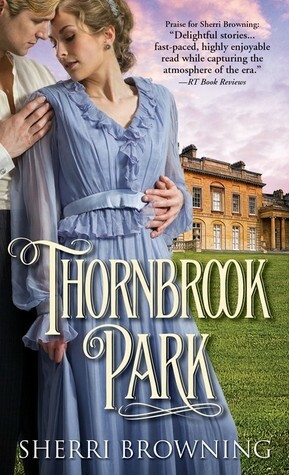 Thornbrook Park is the first in the series and it is set in the early 1900’s…which was a bit different. I will admit. It had its moments of strangeness because even though it seems like a Regency…it’s not. They sometimes ride in carriages…but then ride in a car. Its a mixture of old and new mixed together. This was quite a enjoyable story I and really loved seeing the way these two connected with each other. At first they feel the desire and have a sexual relationship. But then it turns into something more. We have a murder mystery put into play which was different. Then we have the conflict of their relationship being forbidden. Which I didn’t know why Sophia and Gabriel were so insistent on Marcus being with Sophia’s sister. Especially when Alice had little interest in him as any kind of potential suitor. Toward the end however, I grew a dislike for Sophia. She just seemed so selfish and I really couldn’t stand how she treated Eve…who is supposed to be her best friend. I mean, I would never treat my best friend as the enemy just because she fell in love. I just wanted to shake some sense into her. I could understand Gideon a bit more, because he is like that. He is stubborn and very alpha male like, and is insistent on having things go his own way. But Marcus and Eve really shine especially in the end and I loved how events play out. Quite a fun and enjoyable read. I really love the elegance and simplicity to it. I love the warm colors and it has a feeling of home to it. Its cozy and romantic. “What are you suggesting?” Eve’s pulse raced, wildfire in her veins. Sherri Browning Erwin, best known for critically acclaimed classic mash-ups Jane Slayre and Grave Expectations, also writes paranormal romance and historical romance as Sherri Browning. A graduate of Mount Holyoke College, Sherri has lived in Massachusetts and Michigan, but is now settled with her family in Simsbury, Connecticut. Watch for her return to historical romance with the upcoming Thornbrook Park series. Her books have been mentioned in People magazine, USA Today, Seventeen, the Huffington Post, the Wall Street Journal blog, UK’s Telegraph and Argus, and once, as the subject of a New York Times cartoon. She remains a diehard Patriots fan, a proud member of Red Sox Nation, an adventurous eater, avid traveler, and a frequent visitor to Walt Disney World.